What happens when you leave your smartphone with professional footballers? A usual day at the Arsenal F.C. 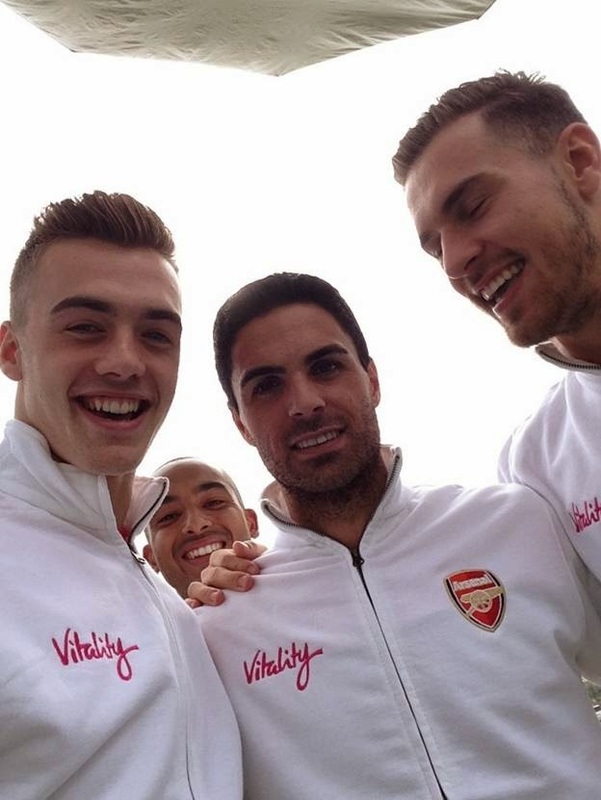 training centre consists of a strict regime of shuttle runs, stretching and ball skills but at a recent shoot for Vitality the players took the opportunity to take a breather from training with a few casual selfies on an unguarded smartphone. 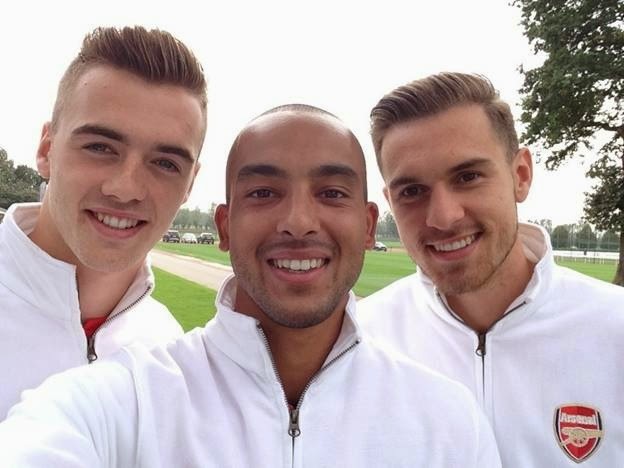 England internationals Theo Walcott and Calum Chambers posed alongside Aaron Ramsey and captain Mikel Arteta in several selfies which made for a surprise for the smartphone’s owner. It’s surprising that Lukas Podolski or Wojciech Szczesny didn’t get in on the act given their well-known selfie obsessions. Podolski has a history of posing for selfies with Bastian Schweinsteiger and German Chancellor Angela Merkel after the World Cup final win. While Szczesny took one of the most well known football selfies of last year, and guess what…Podolski was involved too!